The UK Roofing Awards have become an industry-wide event that recognise and reward outstanding standards of workmanship and safety within the roofing industry. The competition covers the full spectrum of 14 roofing disciplines and runs from June to January every year – thereafter a selection of projects are short-listed. In May each year, at The UK Roofing Awards Congress Luncheon, the winners are announced. A range of criteria are taken into consideration by the judging panel including: degree of difficulty, aesthetics, problem-solving, Health & Safety, workmanship and environmental qualities. The UK Roofing Awards are brought to us by the National Federation of Roofing Contractors (NFRC) – who bring together everyone within the industry. Along with NFRC, the awards are supported by a number of industry trade and industry bodies and our proud support here at SIG Roofing. 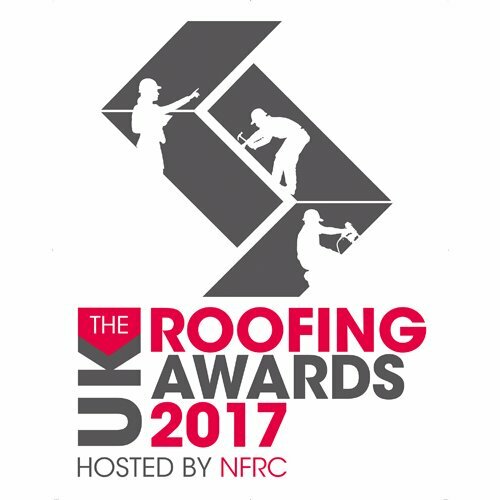 As with the other sponsors and supporters here at SIG Roofing we are proud to partner with the NFRC to support the UK Roofing Awards. As the largest specialist distributor and merchant of roofing and all related products, SIG Roofing are passionate about the industry and supporting excellence. The desire to drive innovation and quality workmanship throughout the industry is at the very heart of our business. To find out more and you view this year’s winners and finalists projects at www.roofingawards.co.uk.